Here is an impressive demo from a young band out of Flint, Michigan of all places. I received this demo over the Christmas / New Year holiday, so I wanted to get a review done pretty quick so that this album can be eligible for my best of 2004 list. I really think this album is worth that attention, and hopefully the guys continue on with this band in the future. If you're a fan of classic heavy metal (me, me, me!! ), keep reading. The originality police can skip to the next review, as there is honestly nothing new or original here. As far as I'm concerned, I don't have to have something original, just give me something good. Miles Beyond have decided to closely follow an Iron Maiden-esque style of classic heavy metal, and I must say that they have done a very fine job. Like I said, there aren't any surprises to be found on this album. The guys have very obvious influences from the Iron Maiden school of heavy metal. The first thing I noticed is that vocalist Tim Moody has a helluva set of pipes on him. His voice sounds a lot like Bruce Dickinson, with a curious bit of Tobias Sammet shining through from time to time. Aside from production (which is to be expected), lead vocals are most often the glaring weakness when it comes to demo and self financed releases that find their way to my stereo. In the case of Miles Beyond, the lead vocals are a chief strength of the band. Tim Moody is a very talented singer, and his band mates also deliver the goods. In addition to lead vocal duties, Tim Moody shares lead and rhythm guitar duties with Paul Owsinski. Together, they deliver a steady dose of extended solos and dual guitar rythms in the vein of Iron Maiden and Jag Panzer. Most of the songs are in the 5-7 minute range, which allows the band ample opportunity to work plenty of extended soloing and dual rhythms into just about each song. Furthermore, this gives the entire album a genuine "chains and leather" atmosphere that was very popular back in the 80's. Miles Beyond does a fine job in giving this type of metal new life in today's scene. Of course, Miles Beyond isn't doesn't play at the level of your Iron Maiden or Jag Panzer type bands, but that would be an awful lot to expect at this point in their career. Aside from raw musical talent, the band has quite a lot going for them. While I didn't find any one song on the album that really screamed out "killer track," the guys have put together an album of 12 consistently good to very good tracks. You'll hear pleny of catchy (but not over the top) melodies and interesting dual guitar rythm work, but none of the songs quite attain a level of an "unforgettable" track. Again, the fact that the guys have put together an album that contains nearly 70 minutes and 12 tracks of damn good music, so it's really hard to complain. From reading the band's website, I get the idea that the guys spend a large part of their free time on their music. If that's the case, it's only a matter of time before they turn a consistently good album into a consistently great album. In my opinion, things are really looking up for Miles Beyond. This album is a rock solid start for the band. They have put together a consistent album that truly rocks from start to finish, without a weak track. As the band continues to play together and write more songs, I am confident that they can take their sound to the next level (from good to great). 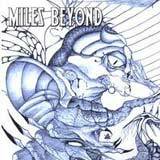 I suppose fans that want something "new" in their sound might not find any excitement here, but if you are just looking for some good classic heavy metal, Miles Beyond is a band to keep an eye on in the near future.